I’m a big fan of Steve Sheinkin, a narrative non-fiction writer for readers ages 10-14 or so. If you haven’t read his National Book Award finalist Bomb, about the race to build–and steal the technology for–the atomic bomb, run to the nearest library or bookstore! It’s one of the best books I read last year. So I was very excited recently to go with a friend to Western Washington University to hear him speak. Jennifer Holm (Our Only May Amelia), was also one of the keynote speakers (see previous post at http://wp.me/p3MZkM-8e), so it was a great day all around. When the snow started falling just before we left, it felt like a blessing on what had been an unusually inspiring day: Good conversation, thoughtful presentations, and the surprise addition of an old friend who I didn’t expect to see. It is The Notorious Benedict Arnold , another Sheinkin book, that’s on my mind this week, however. The snow falling in Bellingham actually helped put me in the shoes of the main character; Arnold traipsed through all kinds of snowy and terrible conditions to win some crucial battles for the American Revolution. As Sheinkin writes, if Benedict Arnold had been killed instead of injured in his somewhat reckless military career, Americans would remember him as a hero, not a traitor. 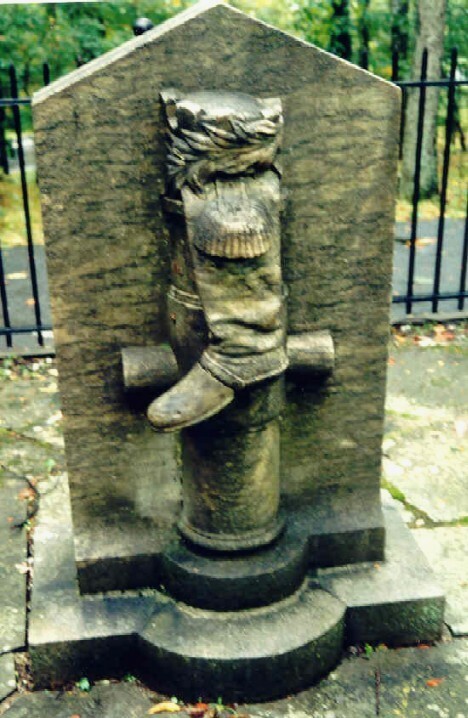 There’s a rather pathetic monument of his leg–just his leg–that was severely injured in the battle of Saratoga; the inscription calls him a “most brilliant soldier,” but nowhere on the monument does it give Benedict Arnold’s name. The one, terrible act of treason overrides all the other times he risked his life in the service of our fledgling nation, and it is the lasting memorial to his name. It oddly reminded me of Arnold when a boy at school complained to me that “this time,” he didn’t hit the girl; “this time,” he didn’t use the bad language they said he used. “They’re just trying to get me in trouble,” he said. As I tried to explain to him that once a person is known for hitting and bad language, it’s really difficult to sort out what he did or didn’t do, “this time.” I tried to hide a heavy-hearted sigh as I contemplated how difficult his life might be if he’s always trying to run through the obstacle course of what he is guilty or innocent of at any particular moment. Then it struck me. Does God get weary of my excuses for what I did or didn’t do, “this time?” Just like this student, and with Benedict Arnold, one act of treachery against God, one sin–even a small one–is all it takes for each of us to be known as “sinner.” Even one footprint spoils the blanket of new snow. Thank goodness, the Bible tells the story of God’s grace. While dying on the cross, Jesus said, “Father, forgive them, for they do not know what they are doing,” (Luke 23:34). It seems like in all the stories of God’s forgiveness and grace, the more people were forgiven, the more they treasured Jesus. Rescued from demons and delivered from lives of shame, they spread the news of Jesus, poured expensive perfume on his feet, went with Jesus to Jerusalem despite death threats against him, stood by him at the cross when others ran away, and they were there at the empty tomb. Truly, they had found the “treasure hidden in a field, or the “pearl of great value” (Matthew 13:44-45). This entry was posted in Faith, School and tagged Benedict Arnold, Grace, sin, Steve Sheinkin. Bookmark the permalink. Right, Cinda! And, good thing we have a Savior who loves and forgives us whether it’s been one sin or one million! Thank you for reading, and for your comment!